Home > About Us > Why choose Joeys? 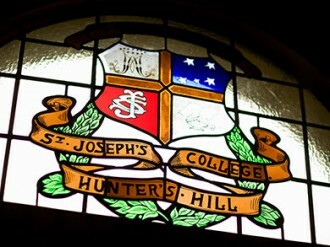 St Joseph’s has a proud reputation as one of Australia’s leading independent Catholic schools. For 136 years, our College has educated boys to become confident, intelligent and compassionate young men, capable of making a valuable contribution to their world. The College was founded by the Marist Brothers in 1881 and Catholic faith values are central to everything we do. We strive to provide boys with a quality education that draws faith, culture and life into harmony. We give boys access to exceptional learning opportunities within a caring, compassionate and highly supportive Christian environment. The St Joseph’s College community celebrates learning, recognises achievement and rewards those who continually strive to do their best. It is important to encourage our young people along their journey of learning and growth, so they are compelled use their talents in the service of others. We endeavour to help them develop their skills, along with a strong sense of compassion and justice, so they will make a positive difference to their community, their nation and their world. Our Catholic faith values, and our Marist spirit, underpin everything we do and set us apart from other places. A distinctive feature of the College is the strong sense of community spirit that unites students, families, Old Boys and staff. As members of the Joeys family, we work together towards common goals and hold the spirit of St Joseph’s close to our heart. The very strong sense of ‘belonging’ is strengthened by the never-ending support and encouragement that exists within the Joeys community. It is a unique experience that is humbling and a true honour. St Joseph’s prides itself on being a comprehensive College where students of a wide range of abilities are given opportunities to achieve their full potential. We focus on providing boys with a balanced education, incorporating a range of learning, spiritual, physical and recreation experiences. Joeys is renowned for its outstanding academic, cultural and sporting achievements and links to the local and international community and rural Australia. The students are at the heart of everything we do at St Joseph’s. We are here to help boys, entrusted to us by their families, to find genuine fulfilment, happiness and security in their lives. Our support and encouragement goes far beyond the time students leave us at graduation. As a College community we take great joy and strength from our ongoing relationship with our Old Boys and their families. To be part of the Joeys family is truly a gift for life. The spirit of St Joseph’s College is, undoubtedly, Marist.